When we plan a trip to Nepal, the majestic country located in between the Himalayas and the Indo Gangetic plain, the list of must-dos that comes to our minds are treks, yaks, yetis and monasteries, but there are so many unusual things to do in Nepal. October and November are the best times to visit, as the skies are clear and perfect for trekking but if you want to do something different and out of the ordinary the list is endless. The goddess or the young prepubescent virgin girl also called the Kumari is the only living goddess who is worshipped both by the Hindus and Buddhists. They are the manifestation of female energy and are selected when they are really young and the tenure lasts till they get their first periods. During certain festivals, the Kumaris are brought out from their special homes for them to give blessings to the visitors and even the king is said to take the blessings of the goddess. So if you are visiting in late August or early September, you will be lucky to witness the festival called the Indra Jatra where the Kumari is paraded around the city in a golden palanquin. If you want to witness something extraordinary, try to visit the place where a tribe called the Gurungs, during the spring and autumn seasons in Nepal, collects the honey which are made by the bees fed on the pollen of the rhododendron flowers. The honey has very good properties, so it is used as a medicine and is a sweet substitute for Viagra. It also has a drug like effect which causes hallucinations, thus the name Hallucinogenic or the Mad honey. 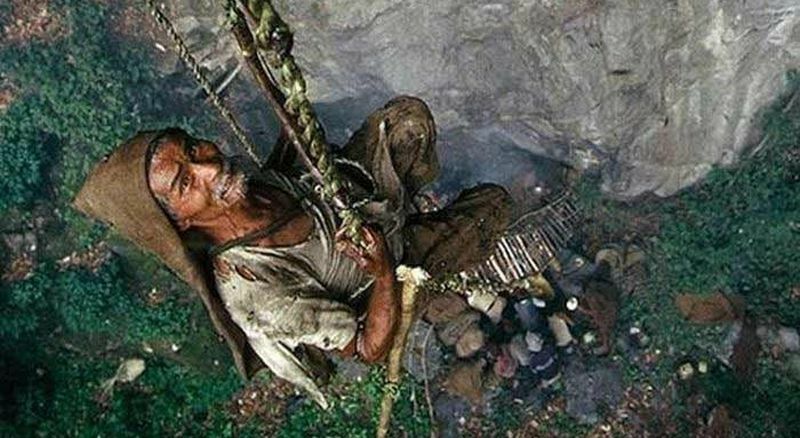 The honey hunters have been risking their lives and collecting honey since centuries. Some tours also offer visitors a chance to join the honey hunt, one of the most unusual experiences you have ever seen or done. A local secret, the fine classical music concerts that happen every full moon, is a sight to see, hear and experience for free. This concert happens in a temple called the Kirateshwar Mandir located within the famous Pashupatinath temple. Nationally and internationally acclaimed musicians are invited to perform here and even learners get a chance to perform at the full moon concert and showcase their talent. The soothing music with classical instruments combined with the vocals will leave you mesmerized and it is a must that you should witness this magic. 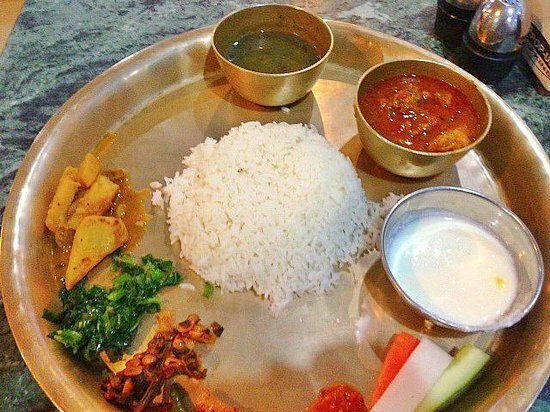 Out of all the delicious Nepalese food a must try is the Thakali food. This cuisine uses locally grown buckwheat, barley, millet, dal, rice and maize. The grains are boiled and ground into a thick porridge eaten in place of rice. Sichuan pepper is the main spice used in mostly all the thakali dishes, which gives it a particular aroma and flavor. I am sure you will love the taste. These are just a few things to see and do in Nepal. There are many more things worth seeing and I am sure you will want to go back and discover more unusual things. Be adventurous and discover the new things. Previous articleWhat To Do If Your Boss Quits The Job?